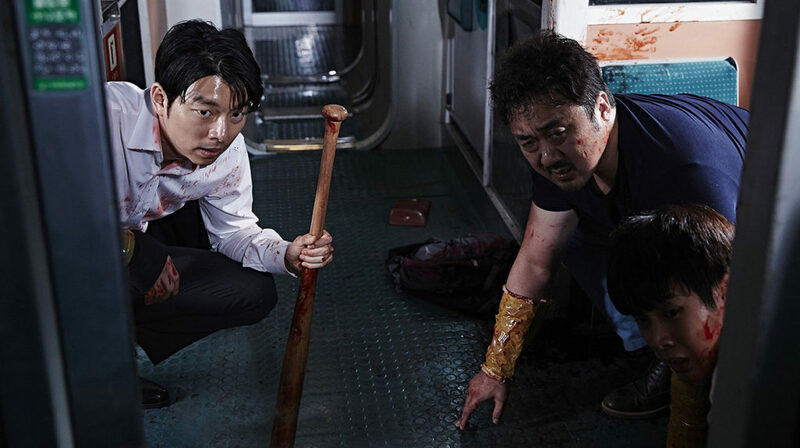 What’s the story: Seok-woo and his estranged daughter Soo-an take the KTX fast train from Seoul to Busan and soon discover they must fight for their lives during a zombie outbreak. What’s the verdict: It is not as scary as the British rail service when a single flake of snow falls from the sky. 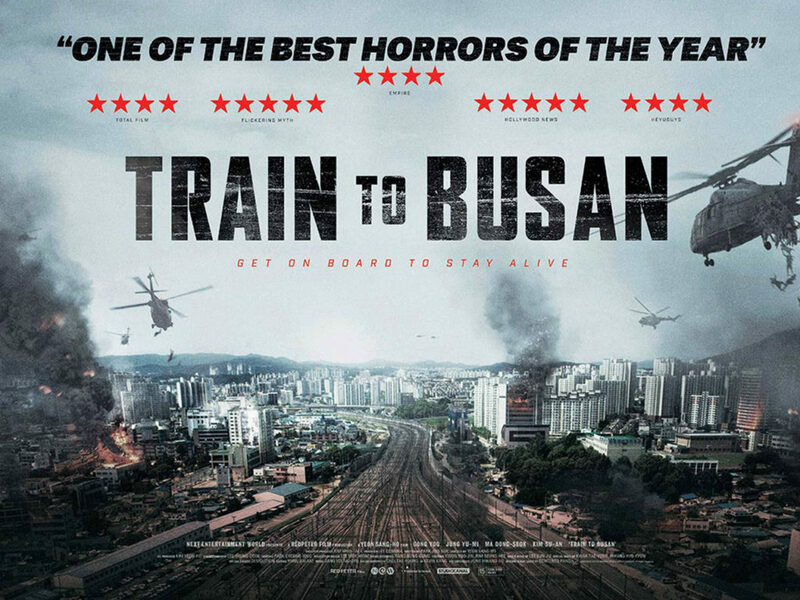 But, Yeon Sang-ho’s Train to Busan joins such locomotive nailbiters as Runaway Train, The Taking of Pelham 123 and Horror Express as a first class example of how to keep excitement and tension on the right track. A zombie film by way of a disaster movie, main characters are efficiently set up while the undead apocalypse breaks out half glimpsed or heard in the background. There is workaholic dad Seok-woo (Gong), estranged from his young daughter Soo-an (Kim) but guilted into escorting her from Seoul to Busan for his ex-wife’s birthday. Tough guy Sang-hwa (Ma) and pregnant wife Sung-gyeong (Jeong) are also along for the ride as is a youth baseball team (handy for what is due to happen). Former animation director Yeon assumes audiences are familiar with the basics of a zombocalypse movie so tosses in reference to a chemical leak (a la The Host) to get things moving and knows everyone understands bite equals infection and the fast working virus is why the recently deceased move at speed and are impervious to painful injury. This allows him space for canny swipes at class and power in modern day South Korea, making Train to Busan a fine companion piece to Bong Joon-ho’s Snowpiercer. First class doors seem stronger than economy. White collar workers are self-serving, including Seok-woo, who must learn basic morality from his daughter, and a sneering corporate COO (Kim Eui-sung) who recklessly puts others in danger. Blue collar workers, including all train staff, are salt of the earth and youth, represented by a baseball player and cheerleader (Choi and K-pop star Ahn), is also esssentially decent when faced with teeth-gnashing danger. Yeon’s animation background (he also made Seoul Station as an animated prequel to Train to Busan) is brought to his live action debut’s aggressive visual style through snarling close-ups, zombie packed wide shots, impossible camera moves and an exhilarating blend of CGI and impressive practical stuntwork. His central set-piece is a largely wordless five minute rescue mission sequence through the train. Yeon’s zombies are driven by sight and possess goldfish memories, so tunnels are handy (though not foolproof) for navigating ambulant deceased infested carriages. Throw in jerky, double-jointed movement as a nod to J-horror, viral interent clip as a reference to found footage movies, and a zombie movie that has not one gun fired and you have a film that plays smart games with its genre.